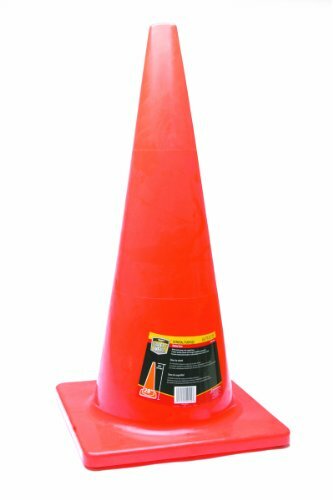 These Honeywell 28" Orange Traffic Cones are great for use as parking markers, parking space savers, sports cone drills and multiple kid-play activities. The high-density, weighted base ensures the traffic cone won't knock over or blow away, and the flexible material is designed to rebound from impacts to remain upright. These bright orange safety cones are UV-Stabilized to retain their fluorescent color even through extended sun exposure. The premium quality polymer is durable and designed to resist cracking or chipping in cold weather. The top hole makes for convenient gripping by hooking the fingers inside the pylon. It also allows for easy stacking by preventing air-pockets from forming. Meets MUTCD standards. If you have any questions about this product by Honeywell Retail, contact us by completing and submitting the form below. If you are looking for a specif part number, please include it with your message.